We don't dress; we overdress. And we don't renovate; we innovate! 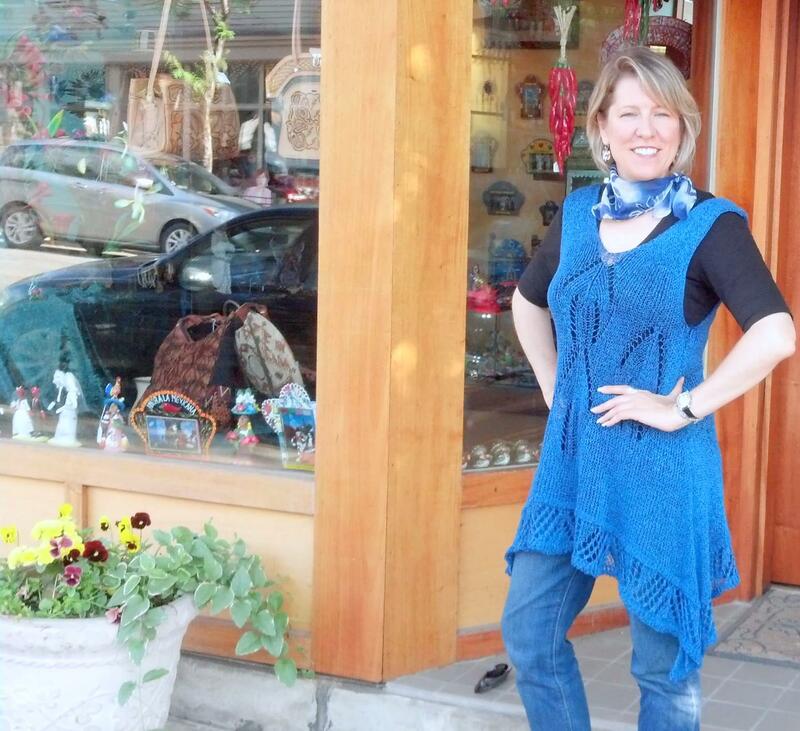 My friend and travel buddy Adrienne and I found these amazing tunics in Estonia last year, on our trip to Scandinavia. We love them for two reasons: one, because they were handmade by an industrious Estonian woman; and two, because they are so dang versatile. Oh, and they were fairly inexpensive. About $35 USD a piece, as I recall. The tunics, which lay so beautifully, pair just as nicely with jeans as they do with slacks and skirts. We wear them over turtlenecks; short-sleeved tops; and, one of my favorite combos, a silky sleeveless drape-neck top. These tunics are made for layering — the crocheted material is light enough to be added as a second layer even if you tend to “run hot” — and, if you’ve been following our blog for any length of time, you know that we love to layer. Layering is an easy way to add interest and texture to what you are wearing. As you can see from the photos, Adrienne’s is a lapis blue and mine is a darling violet. Adrienne and I mulled over the choices for almost an hour before we finally decided on these two. (Actually, I’m pretty sure I decided within about 15 minutes; Adrienne, on the other hand, is admittedly a more, um, thoughtful shopper.) Luckily, we had to decide only on style and color, because the sizes were all the same. The tunics just fit differently depending on your shape: If you’re rounder, the tunics are shorter; if you’re leaner, they’re longer. So if you’re a talented crocheter and can make these things, we bet you a nickel you can sell a gazillion. Estonia ain’t around the corner, ya know. How to survive frigid temperature while making colorful ice balls! What’s the best beauty advice you received from your mom? From time to time, this blog may contain affiliate links. If you make a purchase via one of these affiliate links, know that you don’t pay more. The merchant simply sends us a small commission to help support our blog. Thank you! Shop Home Furniture for Everyone on Your List at WorldMarket.com. Get FREE Shipping All On Orders Of $99 Or More at Corelle.com!